This is a list of fields that can be used with the QueryAdditionalData, UpdateAdditionalDataForWebRecord, UpdateClientAdditionalFields or UpdateEmployerAdditionalFields functions in the VETtrak API (web connector). 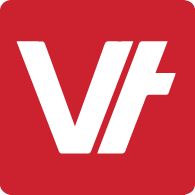 This list is for the latest VETtrak API (web connector) version, and VETtrak database version 17.2. UsualAddressNotSpecified Flag indicating whether the client's usual address is not specified. If you change any address fields, you must set this field appropriately. As per NCVER rules, a "not specified" address is one with an empty unit and building, a street number and street address of "not specified", a suburb of "not specified", an empty state (or 0), and a postcode of "0000". OverseasAddresses Flag indicating whether the client's addresses are overseas. If you change any address fields, you must set this field appropriately. As per NCVER rules, an overseas address has a suburb of "not specified", a postcode of "OSPC", and a state of "Overseas".